Every year, fitness companies compete to create the best and most innovative equipment for gyms around the world. The good news is that CrossFit equipment is constantly being upgraded. The bad news is doing your research is mandatory if you want to get the best gear. Slam balls are a great addition to any gym. 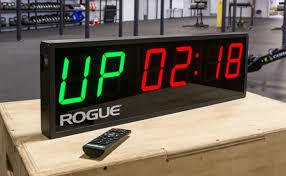 Whether you are an affiliate owner, coach, or do your CrossFit workouts out of your home gym, this piece of equipment can help take your fitness to the next level. We’ll explore a few of those ways in this guide. This guide will also show you the best slam balls for CrossFit athletes in 2018, the difference between slam balls, wall balls and medicine balls, and give you ideas for incorporating them into your training. 1 What Are Slam Balls? CrossFit is infamous for the many variations of equipment, workouts, and acronyms. When he or she asks you what the heck you’re talking about, you might realize how many CrossFit terms have subtle differences. This is relevant in the case of slam balls because there are two similar sphere-shaped objects that CrossFitters also use for their training. It’s good to know the difference whether you are shopping for or training with these objects. So what’s the difference between a slam ball, a wall ball, and a medicine ball? And are there any similarities? Slam balls are designed for throwing and other dynamic exercises. The exterior is made with a hard, but pliable rubber shell that can stand up to aggressive exercises such as ball slams. Of the 3 pieces of equipment, slam balls usually weigh the most and have the most durability. Primary uses: dynamic exercises like ball slams and chest passes, or as a substitute for free weights. The wall ball gets its name for its primary use, which is the wall ball shot in a CrossFit WOD. The wall ball shot dates back to the earliest days of CrossFit, as the original CrossFit Girl workouts like “Kelly” (5 rounds for time: 400m run, 30 box jumps, 30 wall ball shots) require you to do plenty of them. It’s exterior is made with a soft vinyl coating, is softer than a slam ball or medicine ball, and the weight is evenly distributed throughout. While you could sub a wall ball in for movements better suited for slam balls and medicine balls, be careful. Even the best wall balls tend to wear down pretty quickly with excessive use. There’s nothing worse than having to shoot a 20lb wall ball 10 feet in the air with the weight inside no longer being evenly distributed. Primary Uses: compound movements like the wall ball shot for CrossFit WODs. Is also used to teach the medicine ball clean (1 of 9 fundamental movements in CrossFit) if medicine balls are not available. The medicine ball has been around much longer than its spherical counterparts. Medicine balls are usually made out of leather, rubber, or plastic, and have a hard shell. Throwing them at the wall may damage the wall quicker than it will damage the ball. Of the 3, the medicine ball is probably the best 1-for-1 substitute with free weights. Primary uses: full body movements like the medicine ball clean or overhead walking lunges. You can probably get away with using one for most of your fitness needs, but certain exercises will work better if you have each individual ball. Depending on which you choose, it might save your wall or a floor, too. So which exercises are slam balls good for in CrossFit? If you’re only going to buy one ball, how heavy should it be? Where should you plug them into your programming? Use this section to answer those questions. Let’s be realistic and say that it’s unlikely you’re planning to buy 4-5 different slam ball weights. They are expensive, and that type of investment is not for most people. But if you’re only going to buy one slam ball, which weight should you go for? This is a tricky question, because each person has individual fitness goals. How will you incorporate your slam ball into training? Which movements do you want to perform? If you’re a fit male, go with a 20-30lb slam ball. This weight is heavy enough to incorporate your slam ball into heavy dynamic supersets with barbell movements. It will be light enough to substitute as a wall ball if you’re in a pinch (and have a sturdy wall). The assumption here is you want to get multiple uses out of your new piece of equipment. If you buy a 50lb slam ball, you will only be able to perform certain exercises with it. Unless your goal is to be as strong as possible, that may not support your CrossFit training needs. If you are a fit female, go with a 15-20lb slam ball. For the same reasons listed above as the men. If you’re a beast of an athlete, by all means, bump that weight up. If you are new to training or new to CrossFit, go with a 10-20lb slam ball. Regardless of how fit you are, versatility is the most valuable criteria for purchasing a slam ball. 12-18 months from now, you can trade your lighter slam ball in for a bigger one. This is the king of slam ball movements, as the ball slam is a full body, dynamic exercise. *Think you should “up” the bench press weight? Looks too light? Get through the 7 rounds without missing a rep and see if you could have gone any heavier. You’ll notice the strongman theme with heavier ball slams. This exercise works great in a WOD. *In a metcon, you’ll probably want to move faster than the video demonstration. Here are the best slam balls in 2018 for your CrossFit training. Among these options, you probably won’t find a lower priced slam ball with the durability of the Get RXD option. As is the case with most Rogue equipment, it’s on the high end of prices for slam balls. Is it worth it? Many affiliates swear by Rogue’s gear, but if you can find similar equipment cheaper, it might be the way to go. The reviewer also backs up the idea that you should start with a lighter slam ball if you are just starting out. At a lower price point than the Rogue MK, this may be a more budget-friendly option. One of the few options with a cluster of Amazon reviews, the Titan Fitness slam ball seems to hold up. 4.7/5 stars, users boast at the quality and durability of the product at a good price point. You can read all the reviews of the Titan Fitness 20lb slam ball here. For the affiliate owner or garage gym athlete, longevity of any equipment is the goal. If a piece of equipment is cheaper but needs to be replaced every 8 months, was it really less expensive? The Rep V2 reviews all suggest that this ball holds up past the 2-3 year mark, which is the standard warranty for most slam balls. A little higher in price than some of the others here, but you may only have to ever buy one. If your goal in 2018 is to incorporate slam balls into your CrossFit training, use this guide to help you select the right type of slam ball and learn how you can apply it into your program. Whether you train at a box or from your home gym, you can seriously elevate your performance by using this piece of equipment. Know the difference between a slam ball, wall ball, and medicine ball. While you may be able to get away with only owning one, understand what each piece of equipment is good for. Consider the weight of the ball before you buy. Versatility is the name of the game in CrossFit. Don’t buy the heaviest slam ball assuming it will lead to bigger gains in the gym. Think about the movements you’d like to perform with your slam ball and go from there. Pick the ball that’s right for you, and get to it! Slam balls are a great addition to any fitness routine and will contribute to your performance gains in 2018.